The outer harbour is located between Pont Van Praet and the Region’s northern border. Its right bank is largely devoted to industrial activity, due in particular to its greater accessibility by water and the presence of the container terminal. On its left bank, industrial activity is also present, especially at the Quai de Heembeek, but alternates with more recreational activities, as evidenced by the presence of the Brussels Royal Yacht Club and a number of rowing clubs. 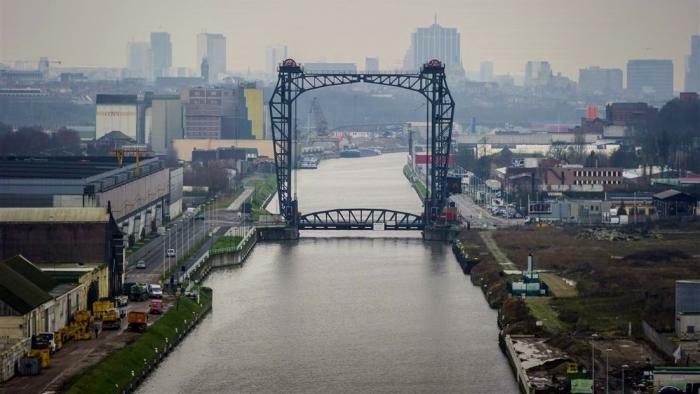 There are plans for the outer harbour to host new industrial activities, including a new Roll-On/Roll-Off terminal, which will enable second-hand motor vehicles to be sent to the Port of Antwerp via the waterway. There will also be a transhipment centre for construction waste. However, recreational activities will also expand, with the construction of the new passenger terminal, the Brussels Cruise Terminal, on which work started in July 2016. 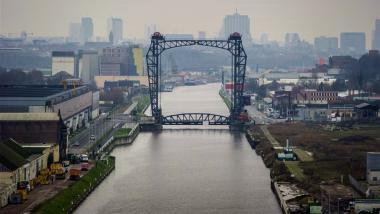 The role of the SAU-MSI in this area, as part of the dedicated Canal team, is mainly to ensure close collaboration between companies and the Regional authorities, including the Port, in order to promote the best possible integration of industry in the urban setting and the optimal use of the available land.